I was going to post yesterday with all sorts of bright and upbeat wisdom and resolutions but as I never really make New Year resolutions and I can’t do wisdom I didn’t bother. Still, bright and upbeat are good things to be left with, lol! So, according to the Mayans the world is going to end this year. I’m not sure of the accuracy of the Mayan’s calculations but you never know…….so it must be an excuse to grab the year by the vitals and live it! I might not make resolutions but I can still have a few things to aim for, can’t I? If, as I personally think, the end of the world isn’t going to happen this year at least I’ll have made the most of life anyway. 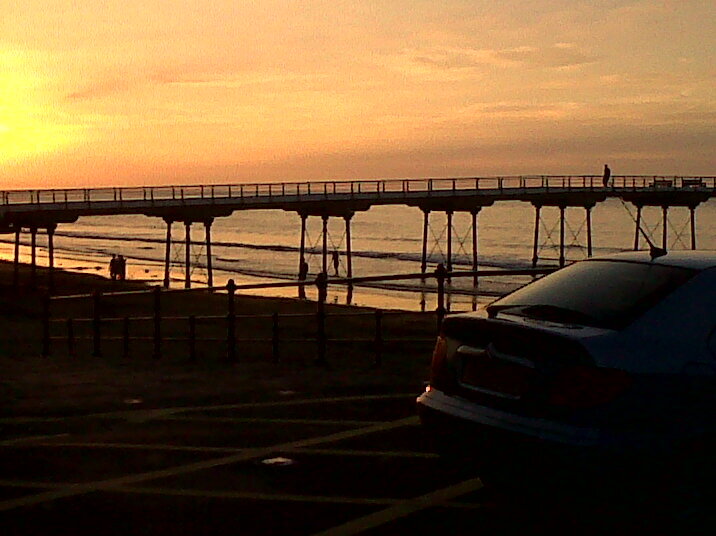 And because I can, here is a photo of Saltburn I took last summer.